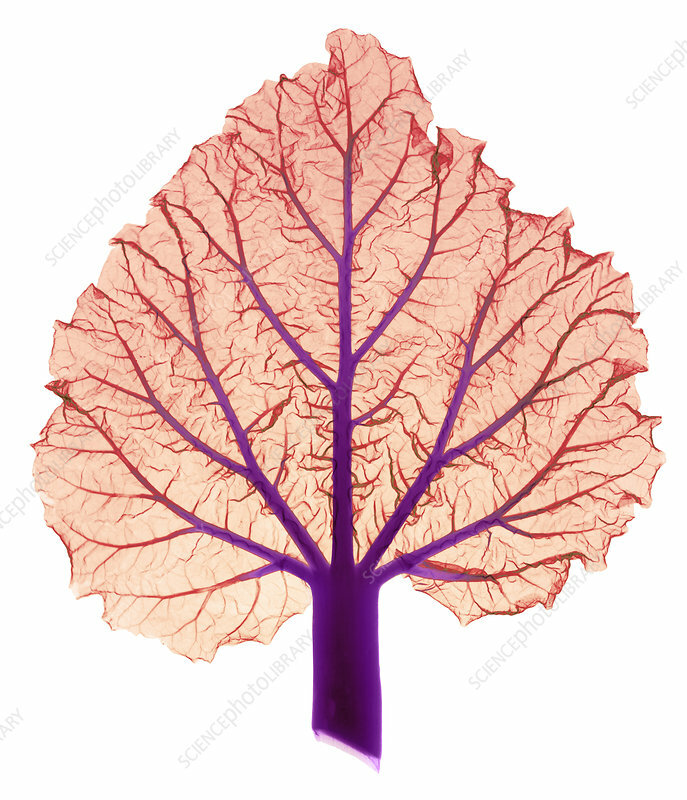 Colour-enhanced X-ray of a Rhubarb leaf (Rheum sp. ) and stalk. The stalks are eaten, and are a good source of vitamin C (ascorbic acid). The leaves contain oxalic acid, however, and are toxic.